“Is this a kind of dream?” – Art Garfunkel. Working Wednesdays: A fun day out at St. Patrick’s School in Po Kong Village, Hong Kong. It’s time for yet another installment of Working Wednesdays. 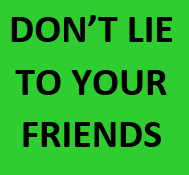 I’m not shy of admitting my background on here, or to anyone I meet on my travels. I’m Northern Irish. And I’m a Northern Irish nationalist at that. I’m also British due to the UK’s ownership of Northern Ireland and I’m also Irish due to the fact I was born in Ireland. However these days I feel an equal affinity to both my passport countries but I’m still much too nationalistic for Northern Ireland. But Northern Ireland is a complicated enigma for uneducated halfwits. Perhaps it’s because officially also, I grew up on the island of Ireland. I love the countryside, the Irish pubs, the people and the food. But I’m equally proud of my British roots (my surname, Blair comes from Scotland). Speaking English has helped me travel round the world, and by having English as my main language it has made things easier, especially in communicating and getting jobs. Plus the British Government (despite all the unnecessary local criticism) has been one of the best political systems in the world down the years. I grew up in the Maggie Thatcher era and during troubled times for Northern Ireland. Yet despite the “troubles” growing up in Bangor and being in Belfast once a week I really enjoyed my childhood. 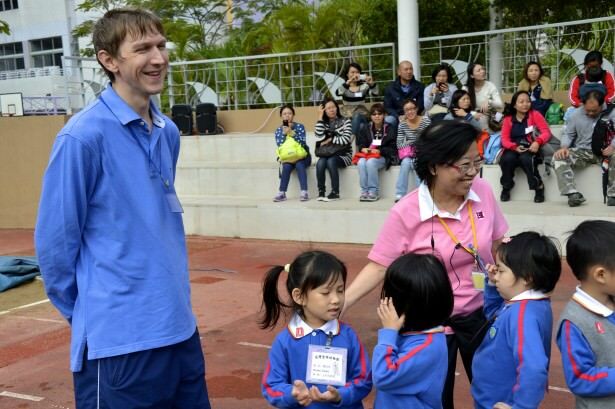 Enjoying a laugh with the children and the principal while working in Po Kong Village in 2012. 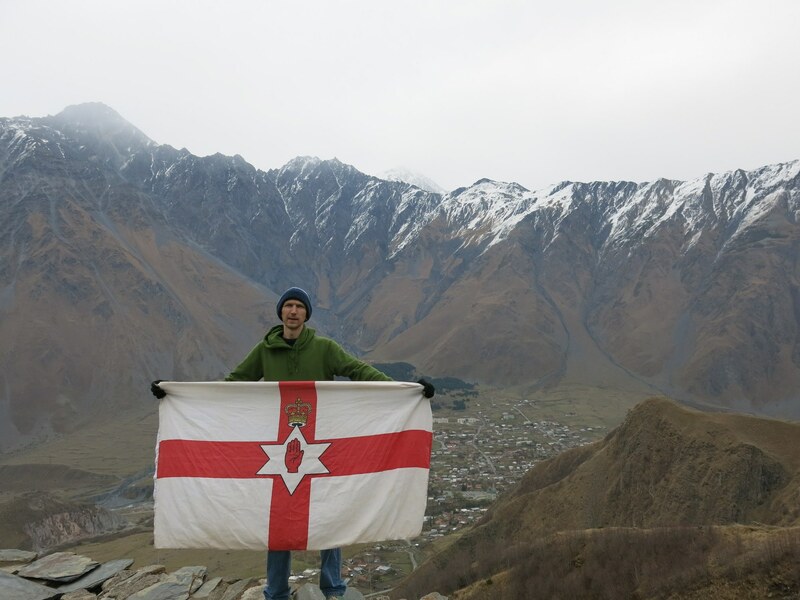 Now – when I left Northern Ireland 10 years ago, I was certain of one thing – I wouldn’t forget my roots or the fact that I’m a proud Ulsterman, Northern Irishman and I started off as a “Protestant” / “Presbyterian” (I went to church almost every week until I turned 19). By the time 2011 arrived, I had worked in a few Catholic schools and visited over 20 Catholic dominant countries. After visiting the Vatican City in 2015 and relocating to Poland, since 2016 I have classed myself as a Roman Catholic. 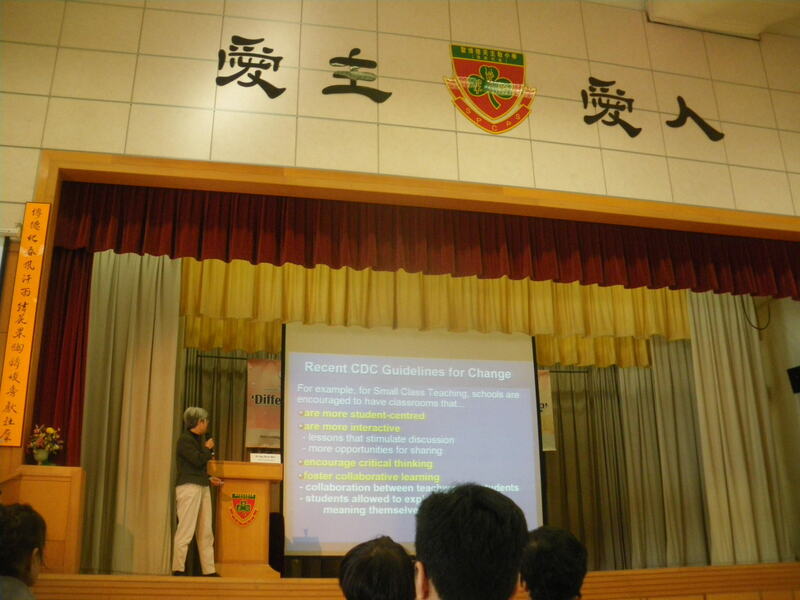 The thing is, it was refreshing to be working in a Catholic School in Hong Kong but even better that it was my patron saint’s school. 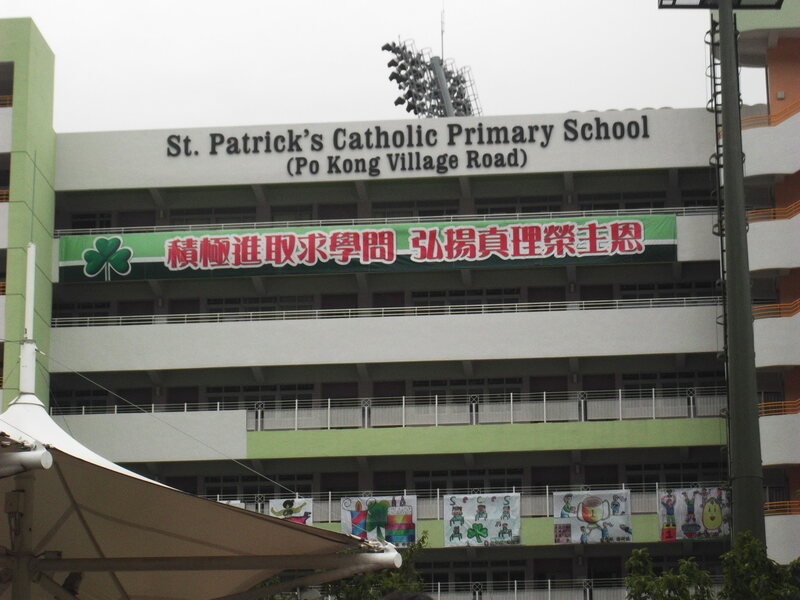 Shamrocks and the Irish Green at St. Patrick’s Catholic Primary School in Hong Kong. When the chance came up to work in Catholic kindergartens in August 2011, I jumped in without thought. I got the job, was working away and then in December 2011 I attended a Teachers Convention in a district of Hong Kong known as Diamond Hill/San Po Kong. It was a custom built education complex, bearing the name of St. Patrick. St. Patrick is the Patron Saint of Ireland and is buried in Downpatrick in Northern Ireland. 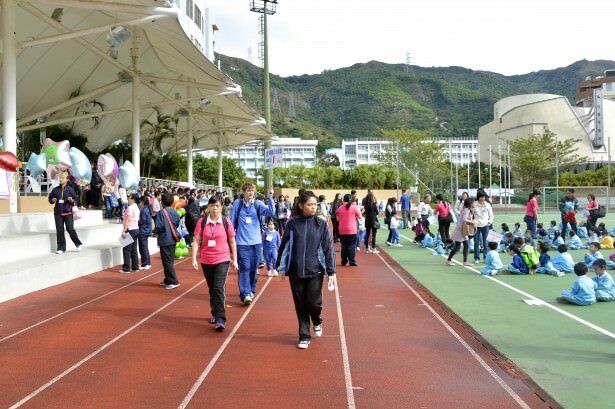 Then almost a year later, November 2012 I’m there working at a special event for children and their parents. Working of course, as a native English teacher. 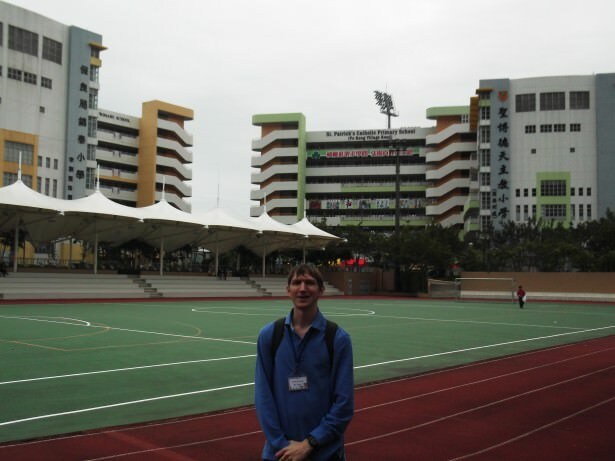 My first time at St. Patrick’s Primary School in Po Kong was December 2011 attending a teaching seminar. 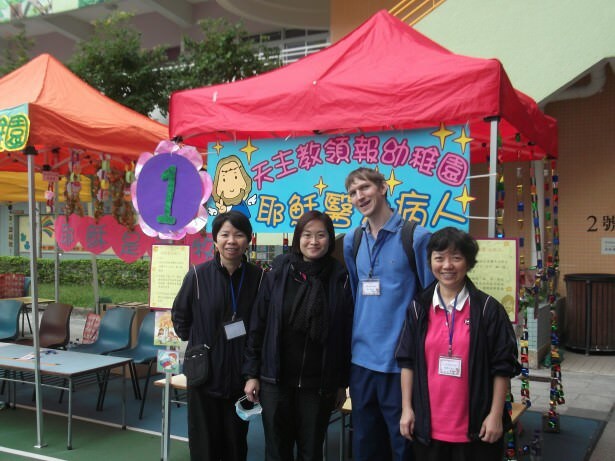 My job entailed easy stuff like singing and dancing with the kids, holding a stick to show what group I was in, stamping cards, posing for photos with kids and “manning” one of the stalls. It was a stall on throwing balls through holes in a fake apple tree. Working at St. Patrick’s – that’s me holding a sign for the children to follow on their big day out! 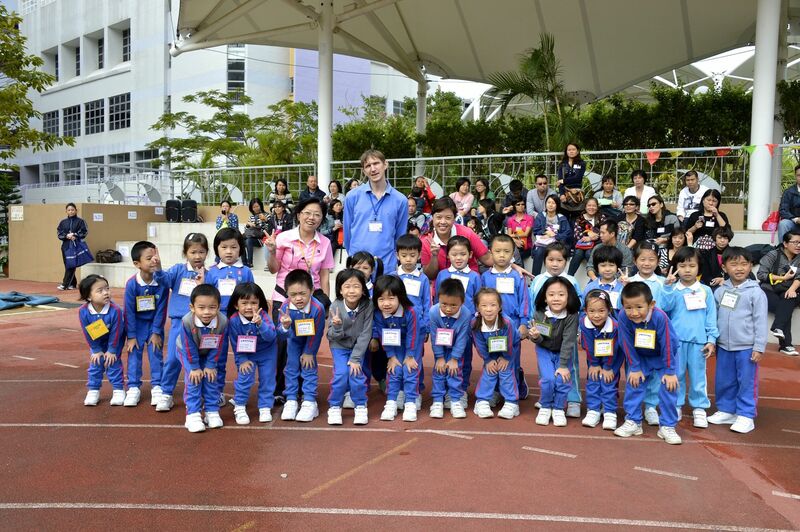 Posing with the kids at St. Patrick’s School in Po Kong, Hong Kong. 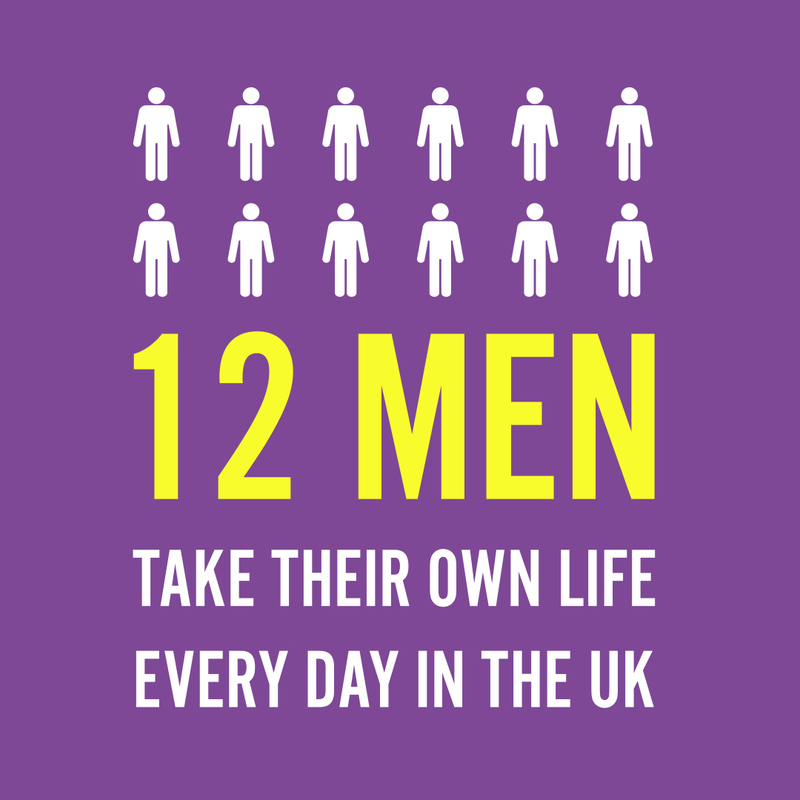 This is one heck of a journey my friends – please don’t waste your life slaving away in an office. 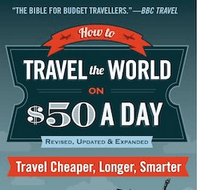 Working Wednesdays brings you my stories from an endless lifestyle of travel where I have had more jobs than I can remember! With some work colleagues after work in Po Kong Village. This entry was posted in Asia, Daily Features, Destinations, Hong Kong, Jobs, Kowloon, San Po Kong, Teaching English, Working Wednesdays. Bookmark the permalink.